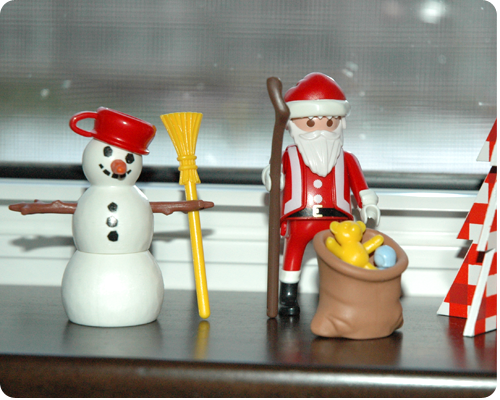 These Playmobil Christmas toys on the kitchen windowsill. I found these on sale at a local toy shop a few months back and I love them. I told the girls that these are Mommy's toys and they were completely okay with that. Our tree. 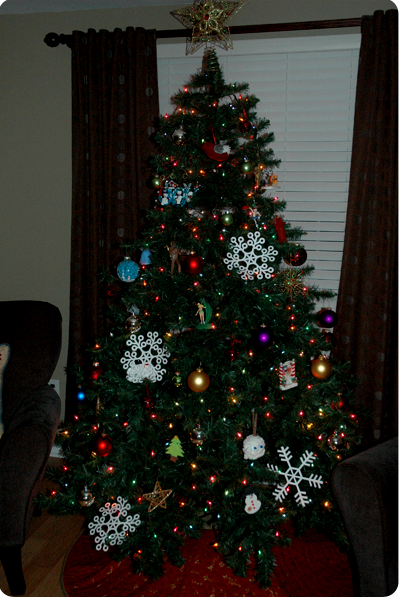 This Christmas tree was the first thing we bought after we got engaged on December 19, 2002. Realizing that we would be married by the following Christmas and not wanting to have to pay full price for a tree, we hustled to the store to find one on clearance. Not the most romantic thing, but certainly practical; I love that our tree has this memory attached to it. This nativity was mine when I was a kid, and every year my sister and I would carefully set it up in the living room. I love that I can do this now with my girls and that it will become a part of their childhood Christmas memories. So, with Christmas only a little more than a week away, what Christmas things are making you smile? Thanks for sharing your fave decorations!! What a sweet nativity and love that it has meaning. I love my tree and fireplace (with nutcrackers)!! And of course all the presents under the tree that I am excited to give. 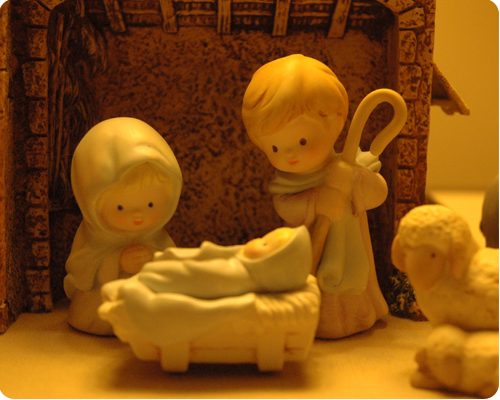 I also love looking at my sweet Precious Moments Nativity which reminds me of the reason for the holiday!! 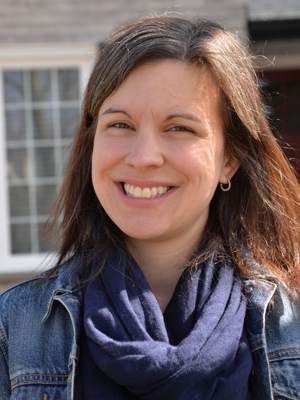 Thank you for sharing your favorite things about Christmas, Leslie. Merry Christmas to you and your family.